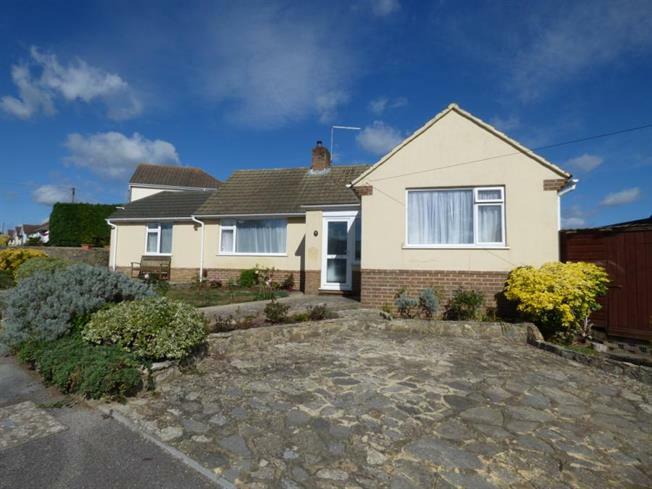 2 Bedroom Detached Bungalow For Sale in Bournemouth for Offers in excess of £300,000. Offered for sale is this well presented two double bedroom detached bungalow occupying a corner plot with off road parking for 2/3 vehicles and detached garage. The property is situated in a cul de sac in this popular Moordown location close to local shops and transport links to Bournemouth town centre. The further accommodation comprises Living Room with front and rear aspect windows. Open square archway leads to Separate Dining Area with sliding double glazed patio doors to garden. Separate Fitted Kitchen and modern Bathroom. The property also benefits from Double Glazing , Plastic Soffits and Facias, Gas Central Heating and low maintenance gardens to front and rear.